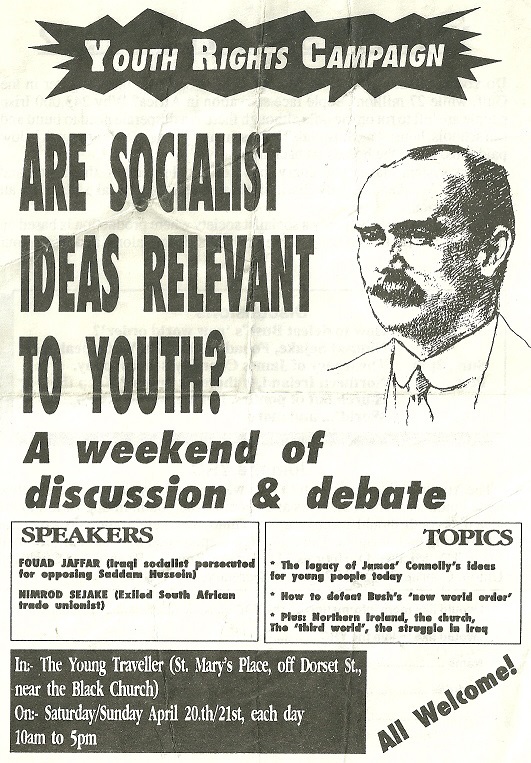 A poster for a Public Meeting on TTIP and other issues from Scrap Water Charges Kildare. 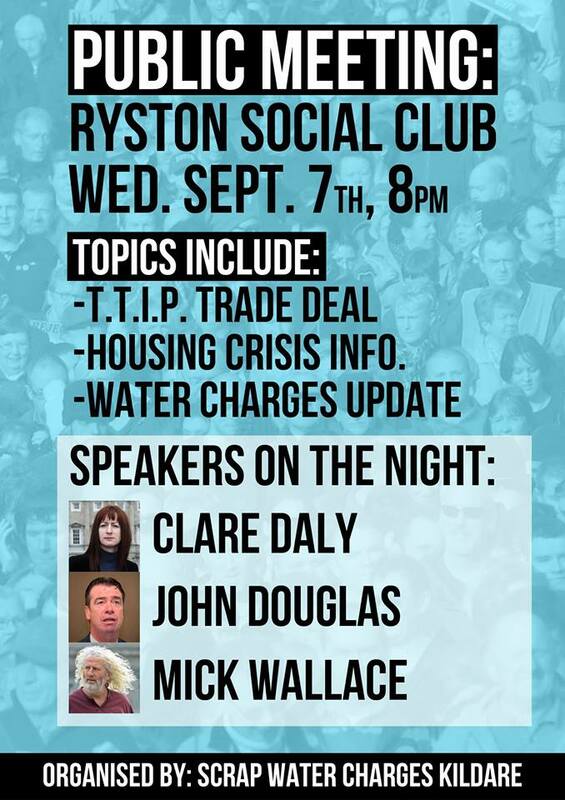 It is on Wednesday 7th September in Ryston Social Club in Newbrdige with Clare Daly, Mick Wallace & John Douglas. 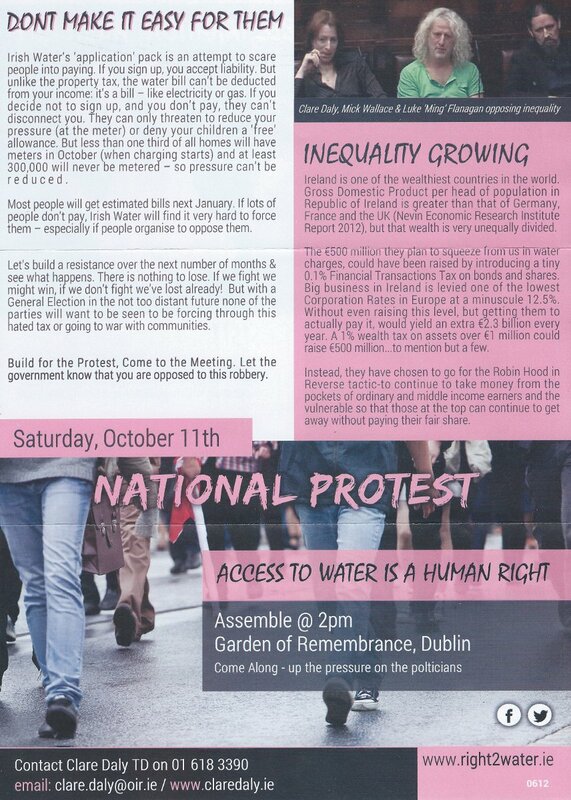 The Scrap Water Charges Kildare Facebook Page. 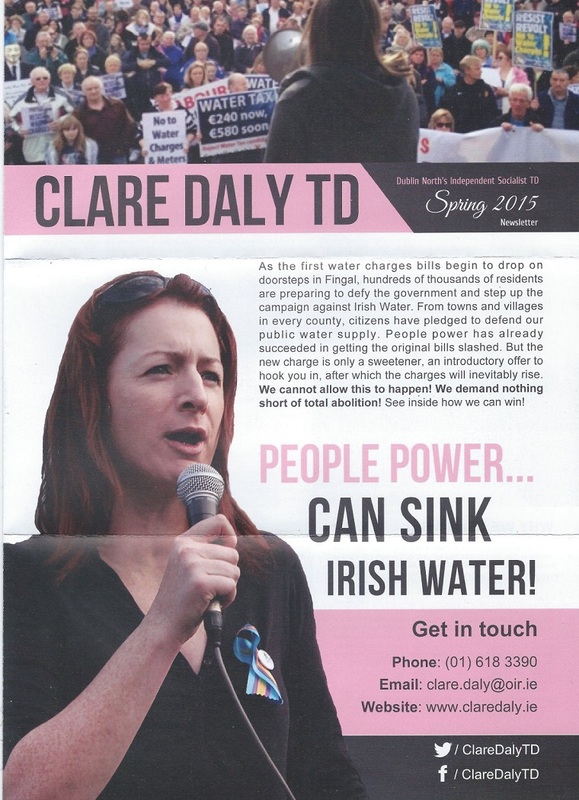 The Spring 2015 Newsletter from Clare Daly “Dublin North’s Independent Socialist TD”.